This document illustrates how to run a report within FormBuilder. This document is meant to illustrate to a FormBuilder Administrator how to run a report in the FormBuilder Admin application. Reports can either be exported to an Excel spreadsheet or to a flat file. In order to run a FormBuilder report, you must be an administrator for your unit or form group and have access to FormBuilder Admin. If you do not access and feel that you should have access to FormBuilder Admin to run reports, please contact aitsadsdtamda@uillinois.edu. 1. 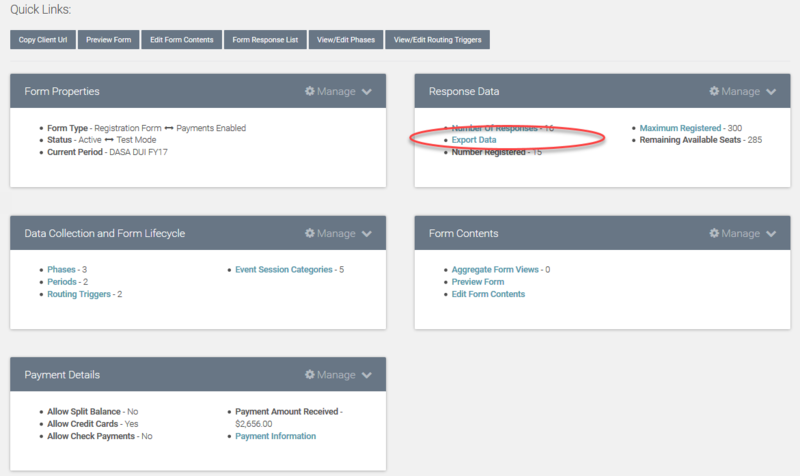 Once in FormBuilder Admin, navigate to Response Data, Export Data from the form dashboard. 2. Navigate to Run Reports. 3. Choose to filter data in your report by period or phase (or leave as default), and then select Export method...most likely Excel. Then select Download Report. 4. 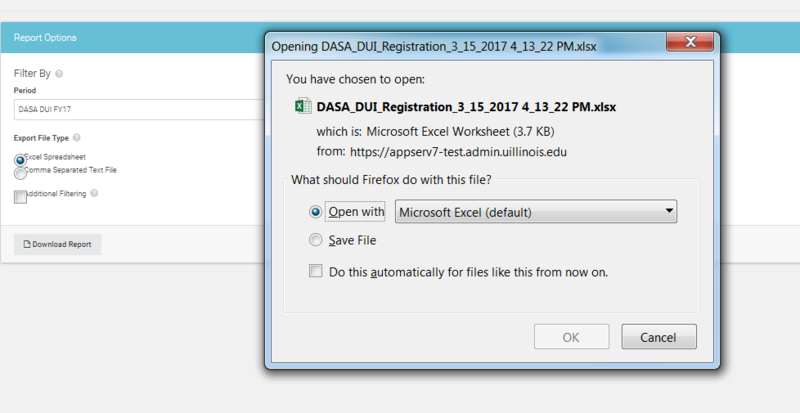 Choose how to open report, most likely leave as default Open with Microsoft Excel (default) and click Ok. Please contact aitsadsdtamda@uillinois.edu if you have any questions.